When Freddie is teething, he likes nothing more than shoving things in his mouth. His favourite thing to chew on was actually the ribbon on his dummy clip which I would have to keep changing as it would get very soggy, very quickly! That's where the Octo Clip from Nibbling comes in! Made from 100% food grade silicon its perfectly safe to be in a little mouth 99.9% of the time! When it gets dirty it can be just washed under the tap and handed back to the child, where as the ribbon ones we have been using since Freddie was born would have to go into the tumble dryer or on to the radiator! Mummy absolutely loves this clip so much and I think it is the perfect gift for a new mummy and baby! I would have loved something like this as a present after either of my boys had been born! Freddie is two and he absolutely loves putting things in his mouth! I would rather he had the dummy clip in his mouth than one of his big brothers toy cars!! 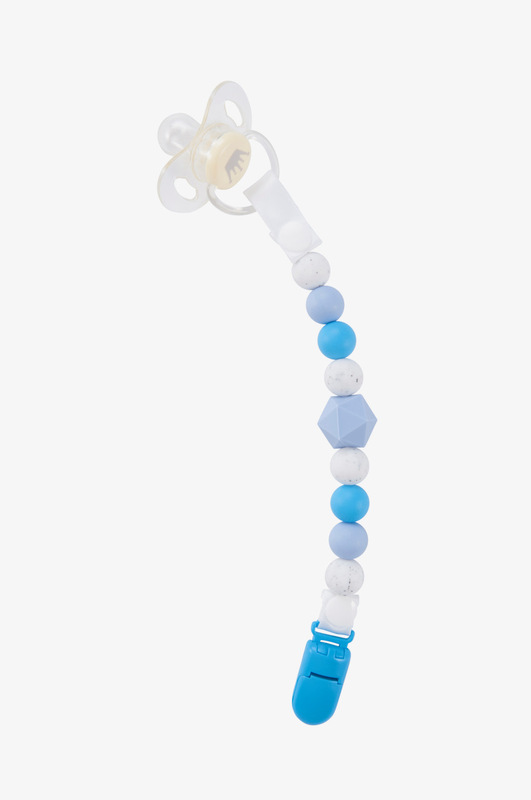 He has been teething badly since just before his second birthday so it wasn't unusual to see him with the silicon beads in his mouth rather than the actual dummy! 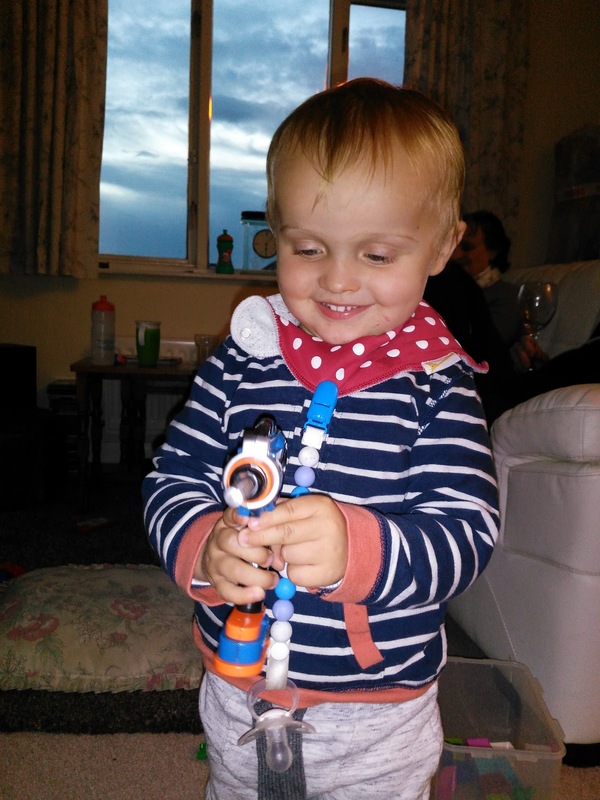 The poor boy was actually ill on his birthday and so was sick numerous times and all that we needed to do was wash the beads in hot soapy water and rinse well and place a new dummy on the end and then give it back to Freddie and he was a happy boy again! This is definitely something I would buy for a baby gift for a new baby as it is suitable from birth upwards! This looks great. Oscar doesn't have a dummy (much to my dismay! ), but it might actually work just as a teething source to be attached to him! 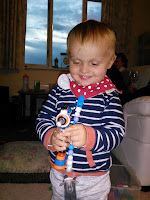 Nibbling have lots of great products, I love that they are all safe for little ones to chew on and easy to clean. Two absolutely essential requirements for babies. These are gorgeous, we had a similar one for our little one and can’t recommend it enough!